A dispute over retiree healthcare benefits which has been hotly litigated for 14 years reached the end of the road with the Supreme Court’s decision in CNH Indus. N.V. v. Reese, No. 17-515, __S.Ct.__, 2018 WL 942419 (U.S. Feb. 20, 2018). In this case, retirees brought suit against their employer, CNH Industrial N.V. (“CNH”) seeking a declaratory judgment that they were entitled to lifetime health care benefits, a permanent injunction requiring CNH to maintain the level of retiree health care benefits then in effect, and damages for injuries the retirees might sustain if benefits were terminated. The United States District Court for the Eastern District of Michigan granted summary judgment to the retirees and awarded them attorneys’ fees. CNH appealed to the Sixth Circuit Court of Appeals which affirmed in part, reversed in part, remanded, and denied rehearing. The District Court again granted summary judgment to the retirees. The Sixth Circuit reversed and remanded. The District Court then awarded summary judgment to CNH, but on reconsideration awarded summary judgment to the retirees. CNH appealed again and the Sixth Circuit affirmed and remanded. Upon granting certiorari, the Supreme Court held that under ordinary principles of contract law, the expired collective bargaining agreement (CBA) did not create a vested right to lifetime health care benefits, and a court could not create an ambiguity in the CBA by declining to apply to health care benefits the CBA’s general durational clause and then inferring vesting. 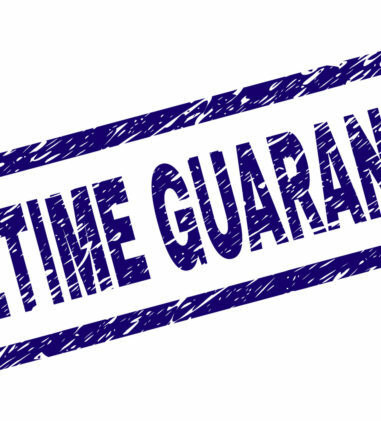 The court explained that the relevant agreement contained a general durational clause that applied to all benefits, unless the agreement specified otherwise, and no provision specified that the health care benefits were subject to a different durational clause. Rather, the agreement stated that the health benefits plan ran concurrently with the CBA. “If the parties meant to vest health care benefits for life, they easily could have said so in the text. 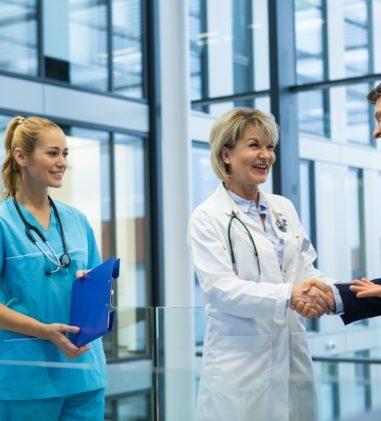 But they did not.” The court found that the only reasonable interpretation of the agreement is that the health care benefits expired when the collective-bargaining agreement expired. The Supreme Court reversed and remanded the case. Ellis v. Fid. Mgmt. Tr. Co., No. 17-1693, __F.3d__, 2018 WL 991515 (1st Cir. Feb. 21, 2018) (Before Kayatta, Circuit Judge, Souter, Associate Justice, and Selya, Circuit Judge). In this certified class action alleging that Defendant breached its duties of loyalty and prudence under ERISA, the First Circuit affirmed the district court’s grant of summary judgment to Defendant. The court held that: (1) the participants failed to establish that there was a conflict of interest in the administrator’s pursuit of wrap insurance; (2) the administrator did not violate its duty of loyalty under ERISA by picking a conservative performance benchmark for its stable value fund; (3) the participants failed to establish that the administrator’s pursuit of wrap insurance breached its duty of prudence under ERISA; (4) the administrator’s choice of a performance benchmark for its portfolio could not be imprudent, in violation of ERISA, by virtue of being too conservative; and (5) there was no evidence that the administrator’s decisions regarding the portfolio were unreasonable under the circumstances at the time. Swain v. Wilmington Trust, N.A., No. CV 17-71-RGA-MPT, 2018 WL 934598 (D. Del. Feb. 16, 2018) (Judge Richard G. Andrews). 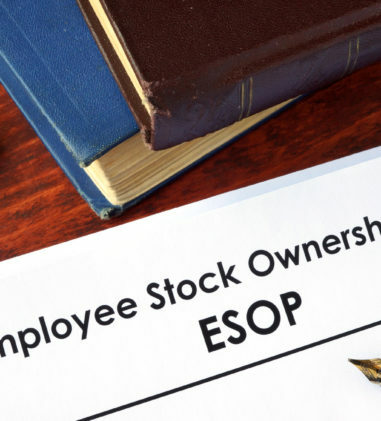 Plaintiffs’ complaint demonstrates a cognizable injury-in-fact with respect to the damages claims where an independent appraiser gave the ISCO stock held by the ESOP a fair market value that was $59,000,000 less (or 60% lower) than the purchase price paid just eleven days earlier. Plaintiffs “suffered a diminution in value” to their ESOP accounts and based on this the court denied the motion to dismiss these claims for lack of subject matter jurisdiction. But, the Magistrate Judge’s report correctly concluded that Plaintiffs lacked standing to pursue declaratory and injunctive relief, because Plaintiffs did not adequately allege “a real and immediate threat of future injury.” That the past injuries, which occurred once, “could happen again,” is nothing more than speculation. The court granted the motion to dismiss as to these claims. The court also dismissed Plaintiff’s claim based on 29 U.S.C. § 1106(a)(1)(E). The court denied the motion to dismiss Plaintiffs’ claims based on sections 1106(b)(2) and (b)(3) for failure to state a claim. Trustees of Ohio Bricklayers Health & Welfare Fund, et al., v. VIP Restoration, Inc., et al., No. 1:17 CV 437, 2018 WL 931299 (N.D. Ohio Feb. 16, 2018) (Judge Patricia A. Gaughan). The court found that Semersky, as owner of the company, is a plan fiduciary, and he breached his fiduciary duties to the Funds by using unpaid contributions for the benefit of his other companies. Semersky is personally liable for the amount owed to Plaintiffs. His use of the plan assets for his own benefit and the benefit of his other businesses constitutes prohibited transactions under ERISA. Usenko on behalf of SunEdison Semiconductor Ltd. v. SunEdison Semiconductor LLC, No. 4:17-CV-02227-AGF, 2018 WL 999982 (E.D. Mo. Feb. 21, 2018) (Judge Audrey G. Fleissig). The court granted Defendants’ motion to dismiss the amended complaint alleging breach of fiduciary duties for allowing Semi employees to continue to hold the stock of Semi’s former parent company. The Court found that Dudenhoeffer forecloses Plaintiff’s claims. Alexander Acosta v. CMSH Electrical, et al., No. 217CV02253JAMCKD, 2018 WL 948613 (E.D. Cal. Feb. 20, 2018) (Magistrate Judge Carolyn K. Delaney). The court recommended that the Secretary’s motion for default judgment be granted. 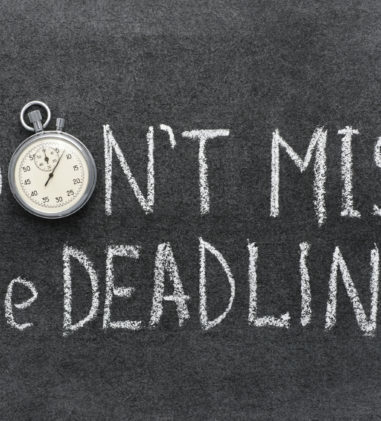 It found that the requested appointment of an independent fiduciary to manage, liquidate, and terminate the Plan is necessary to redress Defendant’s failure to comply with ERISA, and is appropriate equitable relief under ERISA. Barnett, DDS v. Great Plains Trust Company et al., No. 17-2154-CM, 2018 WL 1035162 (D. Kan. Feb. 23, 2018). Where Plaintiffs allege that Defendant Kornitzer is a functional fiduciary because it provided investment advice for a fee, the court determined that they have pleaded enough facts to show that Kornitzer may have had enough involvement in the retirement plans that it is plausible it is liable for any breach of fiduciary duty under ERISA at the motion to dismiss stage. There is no authority to support Defendants assertion that a plan trustee is barred from seeking damages after a plan has been terminated. Plaintiffs’ Negligent Misrepresentation and Breach of Contract claims are dismissed as preempted by ERISA. Schapker v. Waddell & Reed Financial, Inc., et al., No. 17-CV-2365-JAR-JPO, 2018 WL 1033277 (D. Kan. Feb. 22, 2018) (Judge Julie A. Robinson). 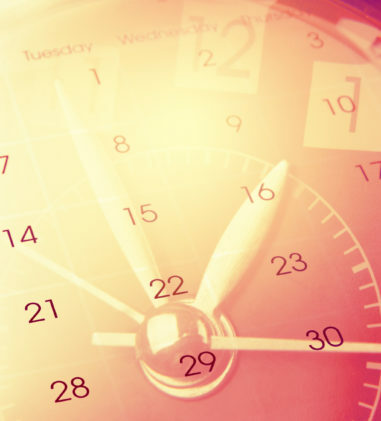 The court determined that Plaintiff’s breach of fiduciary duty claim and prohibited transaction claim are not time-barred under § 1113(2) because Plaintiff did not have sufficient knowledge of all material facts at any time more than three years before she filed her original complaint. Here, Plaintiff alleged more than merely an excessive fees or underperformance claim that she states a plausible claim that Defendants’ process in selecting the Plan’s funds was flawed. The court also found Plaintiff’s indirect transfer prohibited transaction claim plausible. Motion to dismiss denied. Durand v. Hanover Ins. Grp., Inc., No. 3:07-CV-00130-HBB, __F.Supp.3d__, 2018 WL 935436 (W.D. Ky. Feb. 16, 2018) (H. Brent Brennenstuhl). The court noted that a number of district courts in the Ninth Circuit have concluded that a proposed class should not be certified if it is seeking recovery on a claim that is absent from the operative complaint. Although there do not appear to be any cases within the Sixth Circuit that have applied this rule, the court found the reasoning is sound and applicable to the present matter. The court determined that the class certification order should be amended to accurately reflect the existing claims and defenses pertaining to the current members of Subclass A, but not all of Plaintiffs’ proposals for adjustments to the Subclass A definition are adequate or accurate. Subclass A is now designated as the “Whipsaw–Related Fiduciary Breach Class; the class is represented by Fisher; the class members are Plan participants who received a lump sum distribution between March 1, 1997 and March 12, 2002; and the class members are pursuing equitable relief under § 502(a)(3) on the following whipsaw-related breach of fiduciary duty claims: 1. Defendants breached their fiduciary duty under ERISA § 404 by failing to independently investigate the legality of the Plan’s calculation method and override the Plan terms pursuant to ERISA § 404(a)(1)(D); 2. 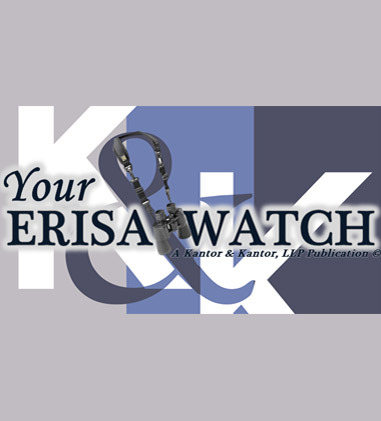 Defendants breached their fiduciary duty under ERISA § 404 by concealing from participants the plan’s whipsaw calculation methodology (i.e., ‘projecting’ to age 65 at the same rate as the ERISA-required discount rate, which was designed to be a meaningless ‘wash’ calculation).” The court denied amending the class to include participants who received lump sum distributions between January 1, 2004 and August 17, 2006 and to include participants in the Hanover and Citizen plans. Donlick v. Standard Insurance Company, No. 17-1593-CV, __F.App’x__, 2018 WL 1003436 (2d Cir. Feb. 21, 2018) (PRESENT: JOHN M. WALKER, JR., GERARD E. LYNCH, DENNY CHIN, Circuit Judges). The court affirmed the district court’s grant of summary judgment to Standard, finding that its termination of long term disability benefits was not an abuse of discretion. On the standard of review, the court explained that though a plan’s failure to comply with 29 C.F.R. 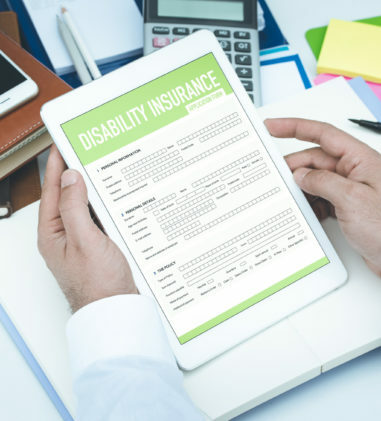 § 2560.503-1 will result in that claim being reviewed de novo, the regulation cited by Plaintiff pertains only to group health plans, not disability benefit plans. A conclusory allegation that an administrator is conflicted does not constitute good cause for consideration of evidence outside of the record. Hagerman v. Am. Electic Power Serv. Corp., No. 2:16-CV-932, 2018 WL 1007511 (S.D. Ohio Feb. 22, 2018) (Judge George C. Smith). The court granted Defendant’s motion for judgment on the Administrative Record. There is no conflict of interest present where Defendant delegated the claims administration process to Prudential. Plaintiff argued that Prudential gave insufficient consideration to the possible effects of the medications Plaintiff was taking, but the medical records submitted by Plaintiff do not speak to any impairment caused by his medications, and Plaintiff did not raise the possibility of medication-induced side effects at any point during the administrative process. Wilson v. Reliance Standard Life Insurance Company, No. 17-10263, 2018 WL 994327 (E.D. Mich. Feb. 21, 2018) (Judge Arthur J. Tarnow). The court granted summary judgment to Reliance Standard upon finding that its decision to terminate Plaintiff’s LTD benefits was not an abuse of discretion. The court found no issue with the fact that Reliance Standard hired an occupational physician to evaluate Plaintiff, rather than a hematologist and/or oncologist, since Plaintiff points to no evidence in the record showing that as of the time he was examined his cancer had returned, thereby creating the need for an examination by a cancer specialist. Although Reliance Standard benefitted financially from Plaintiff’s receipt of SSDI benefits, Plaintiff received SSD and LTD benefits concurrently for approximately six months, and Plaintiff has not submitted any evidence showing that the SSA either monitored his medical records or his progress after it approved his claim. Garner v. Aetna Life Insurance Company, No. 117CV01307JMSTAB, 2018 WL 953081 (S.D. Ind. Feb. 20, 2018) (Judge Jane Magnus-Stinson). In this suit where Plaintiff claimed long-term disability benefits on the basis of urinary incontinence, the court agreed with Plaintiff that Aetna’s decision was not supported by substantial evidence. Although Aetna is entitled to deference, it is not entitled to rely upon critically flawed clinical reviews. Rather than award benefits, the court remanded the claim to Aetna to address the procedural errors identified by the court. Reetz v. Hartford Life and Accident Insurance Company, No. C17-0084JLR, __F.Supp.3d__, 2018 WL 934627 (W.D. Wash. Feb. 16, 2018) (Judge James L. Robart). “In short, Hartford concluded that Ms. Reetz could perform the essential duties of her own job based on the opinions and reports of independent reviewing physicians [Dr. Prena Khanna and Dr. Elena Schiopu] who minimally corresponded, if at all, with the treating physician, did not conduct in-person examinations, and offered no explanation for reaching conclusions contrary to those of the treating physician. Dr. Marquardt, on the other hand, has supplemented the record with reports that indicate Ms. Reetz suffers from a chronic illness that flared up in 2016 and worsens with prolonged sitting. The court is hard-pressed to not find Dr. Marquadt’s reports, in addition to those of the other treating physicians, more influential, especially in light of Hartford’s past determination that Ms. Reetz was disabled. 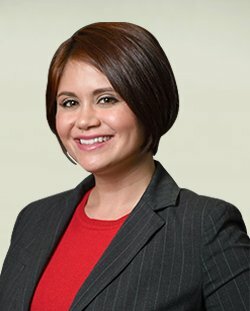 Accordingly, the court is persuaded that Ms. Reetz, more likely than not, was disabled under the Plan’s terms from April 28, 2016, to June 5, 2016.” For the “any occupation” definition of disability period, the court also determined that Plaintiff cannot work in any of the positions identified in the EAR, or any sedentary job, on a full-time basis. The court ordered reinstatement of her benefits beginning on April 28, 2016. The court further found that Plaintiff is entitled to pre-judgment interest consistent with the rate prescribed for post-judgment interest under 28 U.S.C. Section 1961, and to receive her attorneys’ fees and costs. Applegate v. Liberty Life Assurance Company of Boston, No. 217CV130FTM99MRM, 2018 WL 1010839 (M.D. Fla. Feb. 22, 2018). On the parties’ motions to determine the appropriate standard of review, the court determined that Plaintiff has not shown that any exception applies to the rule that arbitrary and capricious is the appropriate standard of review to apply when a claims administrator has discretion under the Plan. The Plan documents show that Liberty Life was vested with the discretionary authority to determine LTD claims under the Plan and, in fact, exercised that discretion in denying Plaintiff’s claim for LTD benefits. Thus, abuse of discretion review will apply to this matter. Garrison v. The Lincoln National Life Insurance Company, No. 7:17-CV-00015-LSC, 2018 WL 1014407 (N.D. Ala. Feb. 22, 2018). Plaintiff failed to exhaust administrative remedies since the Disability Policy clearly required him to seek two administrative reviews of the adverse claim decision before filing suit under ERISA and he only sought one review. The court rejected his argument that exceptional circumstances should excuse his failure including his attorney’s confusion, his filing suit before the appeal deadline, and Lincoln’s failure to explain the basis for the failure-to-exhaust defense before that deadline had expired. 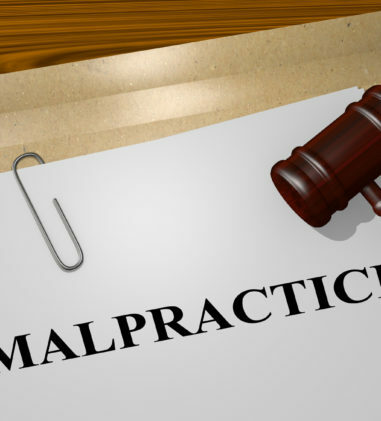 Although Plaintiff had back pain for a number of years, his evidence contained discrepancies so it was reasonable for Lincoln to question those inconsistencies and give more credence to the conflicting conclusions of its reviewing physicians. CNH Indus. N.V. v. Reese, No. 17-515, __S.Ct.__, 2018 WL 942419 (U.S. Feb. 20, 2018). See notable decision summary above. Claudet Jr. v. Cytec Retirement Plan et al., No. CV 17-10027, 2018 WL 999914 (E.D. La. Feb. 21, 2018) (Judge Eldon E. Fallon). 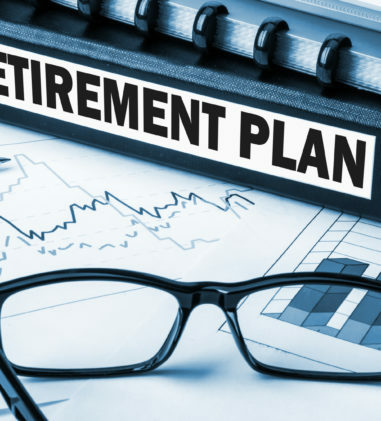 On behalf of a putative class, Plaintiff seeks to recover the difference in pension benefits created when Defendant reevaluated the pension program. The court granted Defendant’s motion to dismiss Plaintiff’s equitable relief claim. The court explained that Plaintiff has an adequate remedy under Section 502(a)(1)(B) so he is not entitled to equitable relief as well. It’s Greek To Me, Inc. v. Fisher, No. CV 17-4084-KHV, 2018 WL 953111 (D. Kan. Feb. 20, 2018) (Judge Kathryn H. Vratil). Administrators of self-funded health plan sued a personal injury law firm to enforce the plan’s subrogation and reimbursement terms. The court held that under Great-West and Goding, Plaintiffs can seek equitable relief against the firm under Section 502(a)(3). Plaintiffs can also pursue a declaratory judgment which asserts that the Plan is entitled to first priority over any personal injury settlement proceeds. 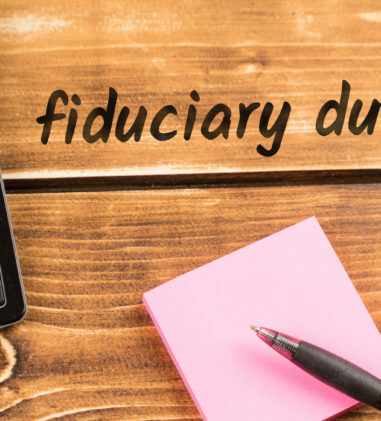 The court dismissed Plaintiffs’ Section 502(a)(2) claim against the firm because the firm did not become a fiduciary to the Plan. The court dismissed Plaintiffs’ federal conversion claim because it saw no reason to alter or add to the specific and refined civil remedies which Congress created through ERISA.